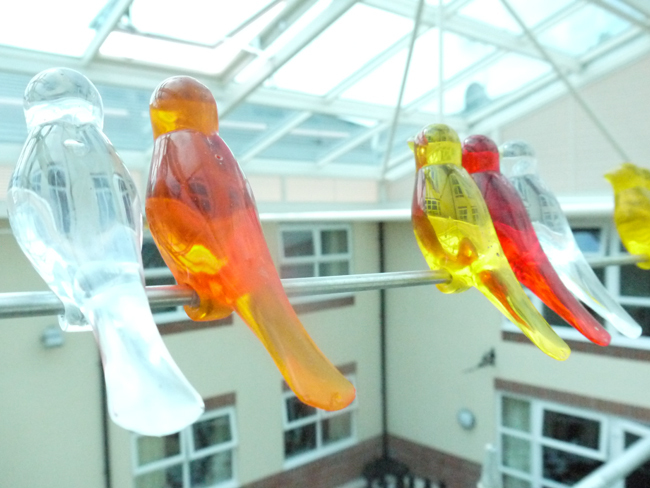 An installation of 100 cast resin birds. 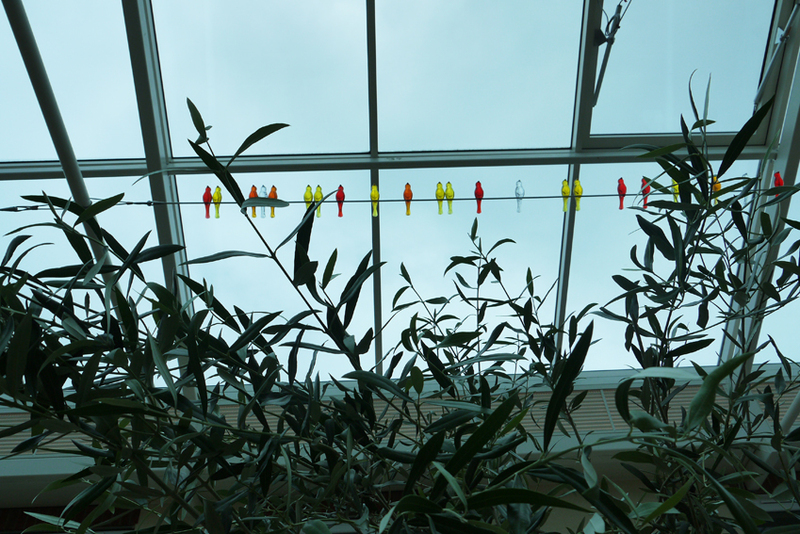 The birds were installed on stainless steel tension wires within the glass atrium space of the newly built Sicey Avenue Care Home, Sheffield. The installation also featured seating with bronze Lovebirds. COPYRIGHT © 2019 - DAVID APPLEYARD/APPLEYARD PROJECTS LIMITED.